Bipolar disorder is a mental illness characterized by extreme fluctuations in mood; because it manifests differently in adults and adolescents, the adolescent version of the disease is easily misdiagnosed and misunderstood. Self-education and the support of a team of experienced professionals, therefore, is an important first response to learning of your child’s condition. As you come to terms with your child’s bipolar diagnosis and learn more about the disease, remember that you are not alone. It is estimated that 7% of all young people seen at psychiatric facilities may have bipolar disorder. There are ample resources online for understanding the disease, but the most important thing you can do is create a support team that includes therapeutic and medical professionals and other parents struggling to help their bipolar child. The notion that someone with bipolar is just an excessively moody person minimizes the seriousness of the disease; bipolar disorder can lead to highly destructive behaviors and even death. Because manic episodes often include grandiosity, a sense of invincibility, and profoundly impulsive behavior, teens experiencing a manic episode often engage in very high-risk behaviors – including sexual and thrill-seeking behaviors – without regard to consequences. Depressive episodes in teens suffering from bipolar often include sudden and profound impulses to commit suicide. Bipolar is not just moodiness, it is a mental illness that can involve periods of psychosis, suicidal intent, and dangerous impulsivity. As such, it is critical that parents take the disorder seriously and surround themselves, and their child, with support. Because teenage moodiness is so common and because adolescent manic symptoms often look like ADHD, it is easy to misdiagnose bipolar disorder in young people. Misdiagnosis can lead to incorrect treatments and inappropriate medications that complicate the young person’s situation. Misdiagnosis can also be dangerous because the issue of suicidal intent may not be taken seriously until it is too late. Adolescents often have very fast cycling bipolar symptoms and can go from mania to depression and back several times in one day. This requires a high level of vigilance, since an adolescent with bipolar can be happy one moment and suicidal the next with virtually no transition. It is important to have a system of observation and a solid knowledge of warning signs and interventions for your bipolar teen. Consult with a mental health professional who specializes in adolescent bipolar disorder to create a monitoring checklist for your home. Teens and adults with bipolar disorder often experience life as profoundly rich and textured. There is an unusually high occurrence of creativity, empathy, and insightfulness in the bipolar population, and manic episodes are sometimes associated with extremely high levels of productivity. Manic episodes are sometimes experienced as periods of intense excitement, vibrancy, and happiness. Despite the extraordinary pain and disruption that the disease causes, many people with bipolar are, at best, ambivalent about the loss of this emotional texture and manic intensity. Teens with bipolar, therefore, often make the dangerous choice to not to take prescribed medications without the knowledge of their parents. Being able to express yourself in front of so many people and having none judge you and just finding out who I really was and having everyone . . . [be there] for you . . . was such a different feeling. Treatment options for teens with bipolar disorder are evolving at a faster pace than ever. Unfortunately, though, they are not as advanced or well-researched as treatment for options for adults with the disease. Because bipolar disorder is so easily misdiagnosed it was, until recently, considered a rare condition. As a result, research into childhood and adolescent bipolar disorder has historically been ignored and underfunded. Following are some of the approaches that are proving effective for young people suffering from the disorder. Residential treatment has several advantages for adolescents with bipolar disorder. Treatment facilities can offer long-term, professional, 24/7 observation, which allows for more effective medication management and treatment monitoring. In a residential setting, therapeutic and medical personnel can test treatment and medication options in a safe, controlled environment; this allows for the creation of an effective long-term course of treatment. This round-the-clock care also provides a higher level of safety, especially during periods of depression that may involve suicidal risk and during medication changes when symptoms may temporarily spike. In addition, residential treatment facilities can effectively administer medication even to a medication-resistant teen. The intensive support and structure of residential care can help a teen come to terms with his or her illness and accept the initially uncomfortable aspects of treatment. Most bipolar medications were designed for and tested on adults. As a result, the short-term and long-term effects of these medications on young people are not fully understood. Nonetheless, medication management is an important and often life-saving first step in the treatment process for teens with bipolar disorder. Anti-depressants, anti-psychotics, and anti-anxiety medications all may play a role in the management of bipolar symptoms, and finding the right combination can take some time. Often the 24/7 supervision, controlled environment, and safety of a residential placement provides the best setting in which to explore medication options. When a manic phase involves psychosis or a depressive phase involves suicidal ideation, intention, or attempts, a short-term hospital stay may be necessary to protect the young person from harm. The ability to administer emergency medication in a controlled environment and the ability to observe and control behavior on a 24-hour schedule are critical for providing protection and stabilization. Because hospital stays are short-term, however, they are not particularly useful for determining a long-term medication or treatment plan. 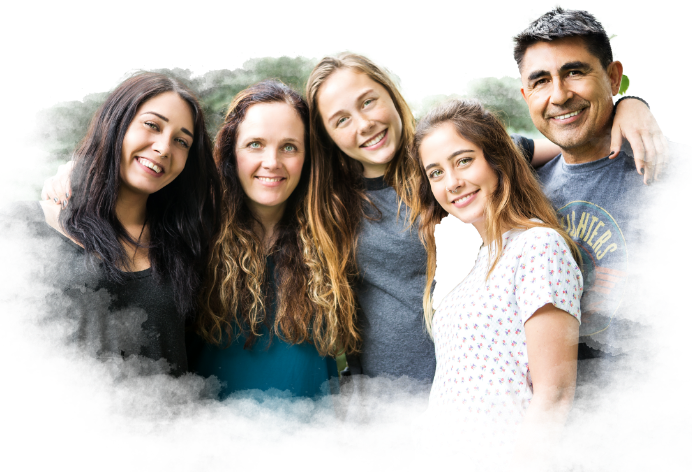 Individual, family, and group therapy are all useful in managing the illness and helping both the adolescent and his or her family feel supported and less alone. The symptoms of bipolar disorder can be scary, disruptive, and deeply painful, so ongoing support from a compassionate and educated community is critical. The role of sleep in managing bipolar symptoms is easily overlooked. Adolescents with bipolar disorder need adequate sleep in order to reduce and/or manage their symptoms. Sometimes this just means being disciplined with bedtime and bedtime rituals, and allowing extra time sleeping in the morning. For young people who have difficulty falling asleep, a prescribed sleep aid can be helpful. It is critical only to use a sleep aid-even an over the counter sleep aid-under the direct supervision of a physician. If your child has been diagnosed with bipolar disorder, don’t try to go it alone. The best and first thing you can do is surround yourself with support. Work with your family therapist and psychiatrist to identify local resources for support, education, and treatment. This kind of community-based support can give you the insight, hope, and care you and your child will need for the journey ahead.